Many manufacturers and service providers in the golf industry partner with ASGCA annually. Whether a high-level Major or Merit Partner, a sponsor, or a supporter of ASGCA programming, each one helps ASGCA spread the word about what golf course architects do to keep the game of golf healthy and enjoyable. ASGCA thanks these companies for their continued support. 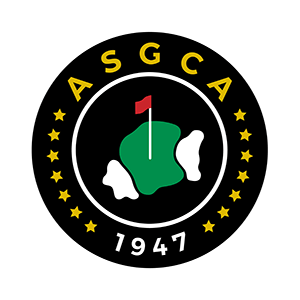 For matters concerning ASGCA educational partnerships, various sponsorship opportunities or other means of support, please email Therese Suslick or call 262-786-5960.